Dakota Shy grew out of the passion that friends and colleagues, Todd Newman and Tom Garrett, have for the wines, history and vineyards of Napa Valley. Their goal is to craft wines of substance and place that rival the best of what Napa Valley has to offer; from the pinnacle of quality and luxury to world-class Cabernet Sauvignon that can proudly be placed on the table and enjoyed every week. After years of working together at Revana Family Vineyard, under the tutelage of Napa Valley winemaking legends Heidi Barrett and Thomas Brown, and vineyard manager Jim Barbour, these two friends set out with a determination to create a world-class estate of their own. They began by sourcing Cabernet Sauvignon grapes from a range of great vineyards throughout Napa Valley. These vineyards represent the arch of grape growing history in the valley from old, trusted sources to new, highly regarded plantings. Produced in limited quantities, their handcrafted Cabernets reflect the highest expression of the vintage. 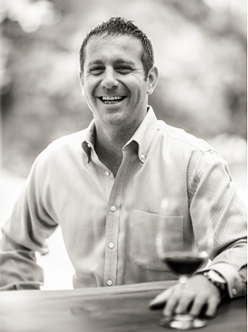 Having the opportunity to work amongst the best in Napa Valley, Todd realized early on that to thrive in such a competitive industry you must surround yourself with the best talent. Collectively, that team can build the foundation for creating the best wines Napa Valley has to offer. At the core of the Dakota Shy team are Todd Newman, Tom Garrett, and Ryan Clark. Todd and Tom worked together at Revana Family Vineyards from 2005 until 2012 where they were responsible for the build out of two wineries and their brand identities. They have worked together every day since and share a partnership in Dakota Shy that began in the early years as a dream. To Dakota Shy, Tom brings a drive for perfection in the wines he crafts. His deep roots in the Napa Valley and understanding of its history and wines, provide a perspective few can offer. A best friend, a business partner, a role model - he is essential to the success and the direction of Dakota Shy. Not long after Ryan Clark moved to Napa Valley to pursue his love of wine, he and Todd met over a wine tasting at Revana some ten years ago. Ryan has visited over three hundred wineries since that fateful meeting. There was no question in Todd’s mind that should the opportunity present itself, Ryan would be critical to take Dakota Shy to the forefront of elite Cabernet producers. Ryan’s unique talents and incredible knowledge of the industry have proven to be a vital addition to the Dakota Shy family. Dakota Shy’s story is one of humble beginnings. A journey that differs from most of the capital intensive wine brands in the Napa Valley. As Todd says, “We put the boots on, laced them up, and put the work in.” Passion, hard-work and tenacity are at the core of his foundation. Born in North Dakota, Todd’s journey to the Napa Valley started in 2003 when his friend Dennis Kelley arranged a job for him at the famed Michelin starred Martini House restaurant in St. Helena. Under the guidance of this Michelin-starred restaurant, he learned the wine business through the lens of hospitality & service. 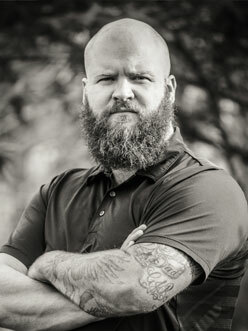 In 2005, Tom Garrett hired him to work in the cellar at Revana Family Vineyard under the direction of world-famous winemaker Heidi Peterson Barrett. 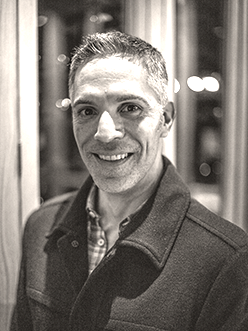 Over time, Todd transitioned from assisting with winemaking in the cellar to directing Revana’s national sales program. In 2008, Todd created Dakota Shy using the tips he had accumulated and knowledge he had logged through his early years in Napa. Tom’s family roots in Napa Valley stretch back to the early 1950s when his great-grandmother purchased a historic Oakville vineyard property within the famed To-Kalon Vineyard. 50 years later, Tom began Detert Family Vineyard wines, named after his great-grandmother and made from his family’s Oakville vineyard. Over the past 15 years Tom honed his craft working alongside other great winemakers and mentors at Turley Wine Cellars, Joseph Phelps Winery, Robert Mondavi Winery and Revana Family Vineyard. Tom continues to make his family’s highly regarded Detert wines. 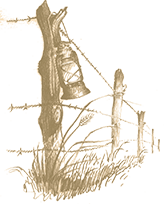 Dakota Shy is a thrilling opportunity to work with a great friend and business partner and make wines from some of Napa Valley’s most exceptional vineyard sources. With Dakota Shy, Tom is crafting Cabernets in league with the best in the valley and pushing the boundaries of quality and precision. A love of Cabernet Sauvignon along with the beautiful natural landscape of the region drew Ryan to call Napa Valley home. 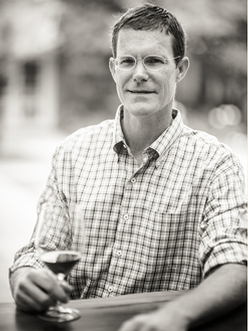 Arriving in 2007, he began his wine career at Larkmead Vineyards after being a founding wine club member. 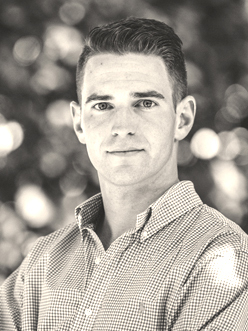 After spending five years with Larkmead, Ryan transitioned to become General Manager at Kelly Fleming Wines in Calistoga. After an additional stint as GM of Checkerboard Vineyards on Diamond Mountain, he started his own consulting company assisting small wineries with operations and marketing. Dakota Shy became his first client and then moved to a permanent position with the Dakota Shy family. A long time veteran of the food and wine world Payton has honed his skills in numerous venues both domestically and internationally. Following studies at the Culinary Institute of America in Hyde Park NY he established himself in the vibrant Napa Valley restaurant world where he would cross paths with Todd Newman while working at the iconic Michelin starred Martini House in St. Helena. Through the years the wine industry led him into import, export and restaurant ventures overseas but the pull of coming back to Napa and helping long time friend Todd Newman take Dakota Shy to the next level prevailed. Austin was born in Louisville, Kentucky and raised by determined young parents who taught her that there is no substitute for hard work. After college, she began a career in nursing but also bartended two nights a week as relief from the day job. She loved that introduction to hospitality and got serious about it - joining the Thomas Keller Restaurant Group in Yountville. As the Private Dining and Events Manager, she was able to flex her creativity by orchestrating distinctive events and weddings. After that experience, she began working for iconic wine maker, Benoit Touquette. At the helm of his personal brands, Fait-Main and Teeter-Totter, she got an education in brand management and operations. 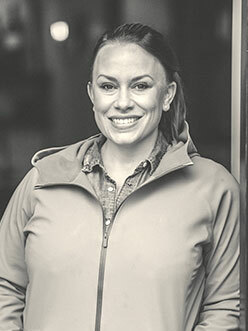 Just as she was ready to bridge her experience in sales and hospitality with an appreciation for operations, Dakota Shy was adding to their team. Austin feels a deep sense of connection with Todd’s journey, Tom’s winemaking and the ethos of Dakota Shy. Pete has pursued a more detailed understanding of the way things work from an early age and relationships between scientific disciplines grips his attention. Viewing wine through this prism, he arrived in Napa Valley from Pennsylvania to work the 2015 harvest at Hunnicutt Winery, a premier custom-crush facility located in St. Helena. Here, Pete engaged with the Valley’s most exciting consulting winemakers and learned cellar practices from a creative and meticulous staff. After the 2016 vintage at Frankland Estate in Western Australia, he returned to Hunnicutt and built a relationship with Tom Garrett and Todd Newman. 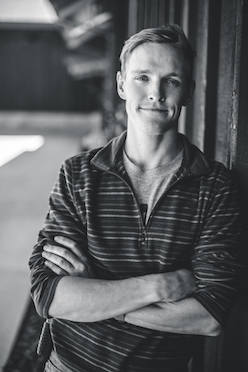 He joined the Dakota Shy team in 2017 in time to help with the winery’s completion and crush its inaugural harvest. After growing up in Mississippi, arrived in Napa in 2016 and immediately felt the allure of the lush and lively landscapes to which Napa calls home. Matched with a growing fascination for the wine industry, Billy decided to get hands on experience making wine by working his first harvest season at David Arthur. Following the 2016 harvest season, Billy was determined to return to Napa and, after a call with Tom in the summer of 2017, was presented with the opportunity to do so by joining Dakota Shy for harvest. Since then, Billy has stayed on as a full-time member of the cellar team and is excited to continue to learn and grow with the Dakota Shy Family. 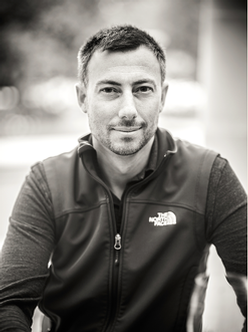 Euan Rannachan was born and raised in London, England and now resides in the San Francisco Bay area with his wife and two children. Euan was classically trained in Traditional Illustrations from the Academy of Art College in San Francisco, but what he creates far exceeds such a title, for nothing about his work is traditional. Euan is constantly pushing the boundary of aesthetic expression. He is a bold, versatile artist with evolving styles and creative artistic techniques. Ansel Adams once said, "You don’t take a photograph, you make it.” Euan makes magic happen. His work evokes raw emotion and he is so lucky to have found his passion, and consequently, his calling. Euan hosts annual art shows in the San Francisco Bay Area which showcase a variety of mediums, particularly photography and acrylic painting. For more information about future art shows, please click here www.euanart.com. 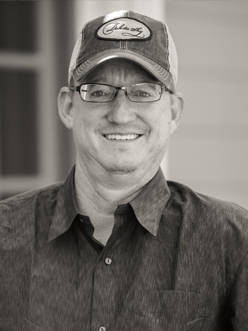 Dennis has more than 25 years of experience in the food & wine industry. As the Head Sommelier of The French Laundry from 2008-2015, he led one of the finest wine & spirits programs in the world. With a comprehensive collection including more than 2,500 selections, The French Laundry wine list earned the coveted Wine Spectator “Grand Award” in each year that he led the program. In 2010, Wine & Spirits called Dennis the “Best New Sommelier” and in 2012 he earned the Master Sommelier Diploma from the Court of Master Sommeliers. Dennis has been featured in The World of Fine Wine, Wine Spectator, Wine & Spirits and Art Culinaire, and has written published articles for The World of Fine Wine and Decanting Napa Valley: The Cookbook. With his encyclopedic knowledge of wine and un-paralleled tasting background, Dennis provides us with valuable perspective during our blending and winemaking trials.